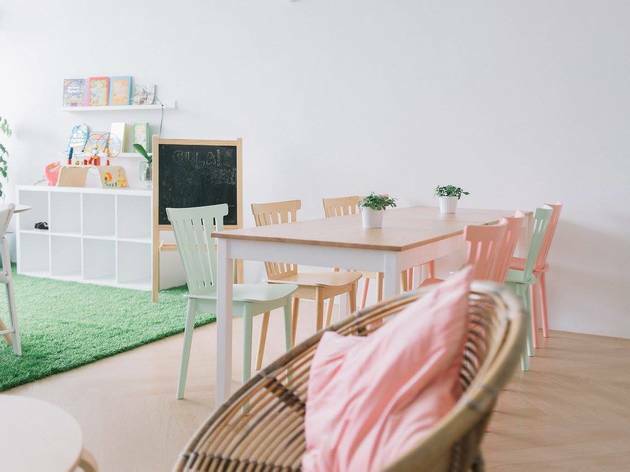 Instagram cake shop Gula Cakery, known for their tiny four-inch cakes and sekaya nangka cupcakes, has opened a brick and mortar store in Kota Kemuning. 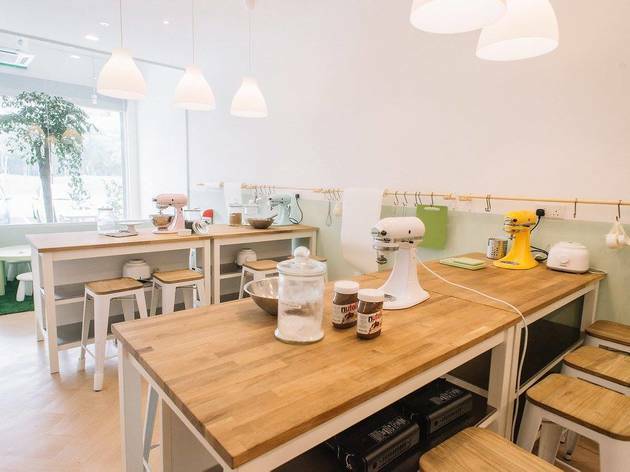 The 24-year old founder, Arieni, combines her degree in early childhood education and a love for baking (she took a pastry course in Paris) into this bakery workshop and café. 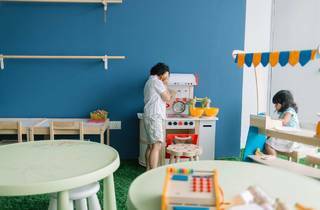 Designed by Adrien Kent (whose previous work can be seen at Double A café), the pretty family-friendly café is all pastel tones and navy blue walls. 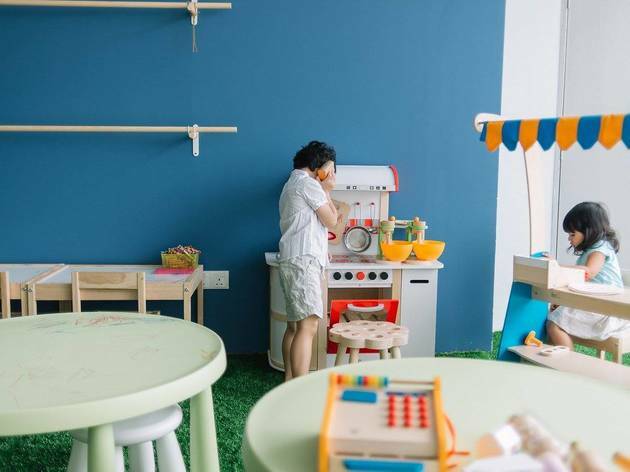 There are pastel KitchenAids lined up on the counter and almost a quarter of the café is dedicated to a play area for kids. 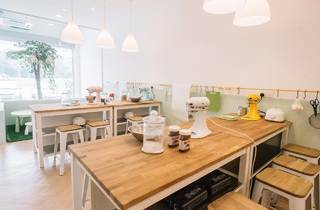 Gula Cakery has two storeys: a baking workshop on the ground floor (kids from ages three onwards are eligible for baking classes), while the café and kids’ play area are located on the second floor. The menu also highlights simple home-cooked fare from Arieni’s parents like assam laksa and nasi kerabu.